In November last year, Tata made some revisions to its Zest in order to make it a safer car according to Global NCAP. The move came after the base variant of the Zest scored zero stars in its first crash test. Tata made structural changes and added two airbags, seat belt pretensioners and a seat belt reminder for the driver, boosting the rating of the Zest to four stars in adult occupants' safety. This brings us to the question - are manufacturers taking safety more seriously now? The question is especially pertinent as we get closer to the launch of one of Maruti's most awaited cars, the Ignis. The Ignis is built on the latest version of the fifth-generation platform, the first version of which is what the Baleno is based on. Structurally, the new platform has better resistance to offset and side impacts. And since the car will be sold from the Nexa showrooms, all variants will get dual airbags and ABS as standard like all other Nexa cars. 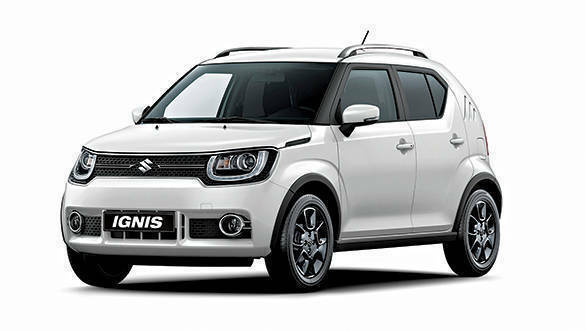 And with the dual airbags and ABS, the Ignis scores a three-star rating in the NCAP test. Internationally, the top-end Ignis comes with 'Dual Camera Brake Support'. The system uses a four-stage process to avoid collisions and other accidents, with other vehicles as well as pedestrians. The dual cameras continuously scan the area ahead of the Ignis. If potential danger is detected, it issues an audio warning. If there is no input from the driver post this, the car starts to brake lightly. After this, if the driver takes notice and applies the brakes, the system provides assistance in the form of additional braking force. Finally, in case the driver still does not take notice and a collision is imminent, the system initiates strong braking to avoid collision or minimise damage. The dual camera set-up also enables the Ignis to have some additional safety features. It enables the car to have lane departure warning. It also keeps an eye out for erratic driving behaviour like weaving to alert the driver of potential drowsiness or fatigue. Now, these systems aren't new in automobiles. In fact, Volvo has used radar-based adaptive cruise control and collision avoidance systems for years now. And systems such as lane departure warning have been around in high-end cars for just as long. However, thanks to regulations in India, cars cannot be sold with radar-enabled assistance systems. This is where the Ignis is at an advantage. The Ignis' safety systems aren't radar based. It uses two cameras mounted near the rear-view mirror to accurately gauge distance. And being such, India's radar restrictions do not apply to the Ignis. This means there is nothing stopping Maruti from selling the DCBS system here. Of course, there are cost implications to this tech being offered. Then again, the fact that the DCBS system take the car from three to five stars in the NCAP scale is a huge advantage.